As the crisis in Côte d'Ivoire reaches its apotheosis, Kateb Salim traces its origins and the dynamics of the power struggle at its heart. The prospects for peace in the near future, he warns, are not looking too promising. As the once prosperous and stable West-African nation of Ivory Coast (Cote d’Ivoire) finds itself on the verge of emerging from a long and gruesome period of instability, the old demons of civil conflict returned to haunt what should have been a long-overdue democratic renewal. These demons, it must be said, are the legacy of decades of instability, characterized by coups and a fierce civil war that had divided the country between North and South since 2002, during which the Ivorian population were held hostage to a political elite’s careless handling of rival ambitions. Today, the capital Abidjan is the scene of protracted street battles between rival supporters, unrest that is not certain to die down once a political solution is achieved. How did it come to this? The recently held Presidential election in the country had been postponed countless times as political leaders endlessly bickered over its organizational details. Despite a relatively calm first and second round, the anticipated and over-dramatized announcement of the final results had the potential to reignite the violence of the civil war. Two notable political figures with very contrasting styles and visions were left standing from the first round of the election. They are, in many ways, both representative of Cote D‘Ivoire‘s diversity but also its divisions. Ahead in the first poll was former opposition leader turned president, Laurent Gbagbo. Whilst his charisma and popularity in the south of the country were undeniable assets to his bid for re-election, many aspects of his campaign, from an observer’s humble perspective, can only be labelled as irresponsible in light of the reactions they have triggered. His slogan (“Truly, there is nothing facing me”) , his labeling of some opponents as ‘foreign agents’ and overly confident rhetoric over the past few weeks only served to undermine the democratic process as were his disrespectful attacks on his opponents. Gbagbo has proven to be a worsening factor to the series of Ivorian crises since 2002. His only remaining opponent, Alasane Dramane Ouattara or ADO as his supporters call him, is a more consensual and calm figure. He was prime minister to the historic leader Felix Houphouet-Boigny, considered to be the father of the country’s independence. 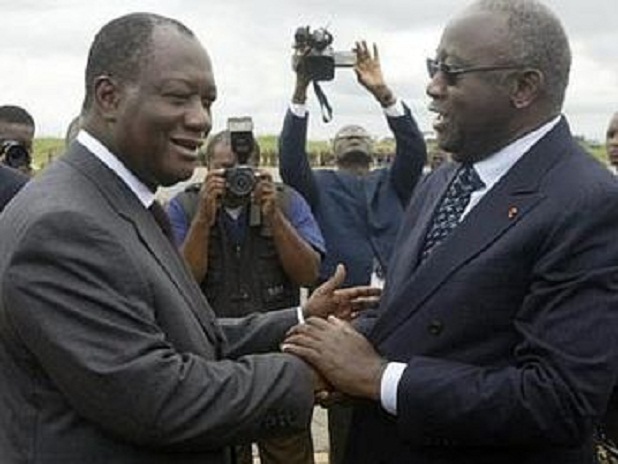 More than anything, Ouattara is seen as the apolitical technocrat, a statesman with broad international support. As a former IMF vice-president, his economic credentials are substantially tested and are reflected through ambitious and well-studied proposals in his manifesto. With the rallying support of former rival Henri-Konan Bedie , eliminated in the first round (he had come in third), ADO logically carried a majority in the second round, won the election and was expected to take his oath as the new President. As the world looked to the Independent Electoral Commission (IEC) to finally announce its confirmed results, the unthinkable occurred. Journalists from the world over, present at the scene, reported that members of the IEC, loyal to President Gbagbo interrupted the head of the commission, ripped the documents being used to announce the results all the while proclaiming the election to be invalid and a sham. Clearly Ouattara had won. This fiasco would inevitably tarnish a genuinely inspiring election and set the scene for a protracted battle which would leave Ivory Coast in the dangerous position of expectation and political paralysis. With Gbagbo refusing to step aside, Ouattara vowed to carry on as if he was President. He began nominating cabinet ministers despite not having been sworn in by the ‘appropriate’ institutions. Meanwhile the besieged President also refused to budge. Gbagbo was hastily sworn in to office for another term and Cote d’Ivoire entered the confusing and somewhat unprecedented situation of having two cabinets headed by two presidents. For several months tensions built up to the point of no return we now find ourselves in. 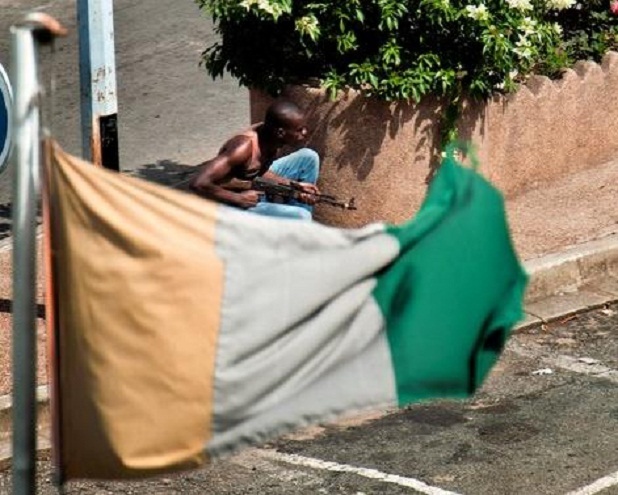 Both presidents remained confined to their respective bunkers until the country’s army (loyal to Gbagbo) and Ouattara‘s rebels finally confronted one another in intense clashes in the country’s capital Abidjan a few days ago. After four days of forceful maneuvering and repeated bombardments by Ouattara’s men, it is now said that Laurent Gbagbo and his followers have been reduced to hiding in his residence’s underground bunker. Under the pressure of UN and French troops who say they are acting based on UNSC resolution 1975, his immediate departure is only a matter of time. It is now being negotiated. Gbagbo and his followers claim that his pan-African credentials have made him the object of some international (and yes even African) conspiracies. Yet any astute observer of the Ivorian political scene knows that there is more to it than that. His stubbornness throughout his handling of the civil war along with his refusal to step down, fueled by the support of his politically uncompromising wife Simone, have managed to alienate large sections of the domestic and international political scene. The African Union itself, usually unhesitant to come to the aid of a beleaguered peer, was swift to call on the president to step down. This follows years of catering to his demands as he repeatedly delayed elections and sabotaged talks with those who opposed him. Outtara or Gbagbo? Gbagbo or Outtara? As I mentioned previously, Gbagbo’s credentials as a redoubtable opposition leader were always a great source of legitimacy for him. How ironic it seems now that between heroic opposition leader and president, Laurent Gbagbo, prefers the latter of both roles. It is my personal opinion that, if not for himself than for the sake of his own people, Gbagbo should have known when to step down. An error in judgment we continue to see time and time again in these troubling times. The burlesque ups and downs of the elections followed by the use of force to ‘resolve’ the deadlock left me shaking my head in sadness as we witness yet another African tragedy. Cote d’Ivoire is a country with vast and untapped potential. It presents all the ingredients needed to become a continental economic powerhouse. What’s more, Iits pluralistic society could also have been a sound basis for a democracy. Instead it is a now a country plunged into violent chaos despite these qualities. Whether this was the irresponsible and selfish actions of some or the meddling of outside powers is of secondary importance now. The tragedy, it seems, is here to stay.